There’s an art to making something that’s simply delicious. That’s why talented people always “make it look easy”, like when a chef makes a perfect cacio e pepe, or when Big Freedia twerks like there’s no tomorrow or anytime Beyonce does anything. This blissful execution can be found in Hatchie’s “Sugar and Spice” EP and Poderi Cellario E Bianco. Harriette Pilbeam is the young Australian woman who performs and records as Hatchie. After playing in a couple bands she debuted her own project last year. The “Sugar and Spice” EP was released this past May and it’s five songs of pure pleasure. Influences like the Cocteau Twins, Sundays and Mazzy Star are detected in her appropriately labeled dream pop that levitates the listener up into the clouds. 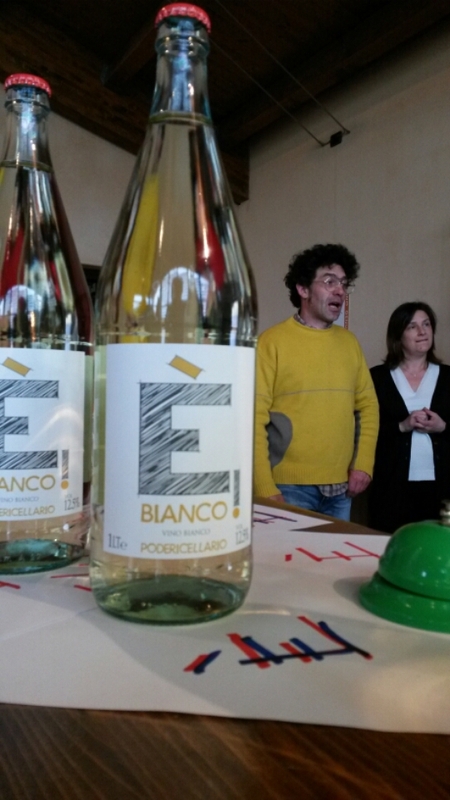 The Poderi Cellario E Bianco is made by third generation winemakers Fausto and Cinzia Cellario in the village of Carru just outside the Langhe in the Piedmont region of Italy. They work with indigenous grapes to the region and are dedicated to organic farming practices and fermenting with native yeasts, using minimal sulfur additions when necessary. This liter bottle of Cellario E Bianco is a treat. It’s versatile as hell. It will be the crowd favorite at a party, it pairs with a wide range of foods from a charcuterie platter to Indian and Thai cuisine and shellfish or it can work well as an aperitif. It’s also a great picnic or boat wine. Really, it just creates and complements good vibes, so consume accordingly. It’s comprised of primarily Arneis blended with some Muscat. The nose is a perfume of flowers, peach puree and orange marmalade with mineral traces. The palate is a charmer. It’s ever so effervescent with lively tart acidity, a slightly bittersweet quality with a touch of lemongrass and a juicy, light body. “Sleep” comes in with a very 80s, “Take on Me” by Ah-Ha style synth line. The vocals are clear and strong and the lyrics pine for an object of desire, questioning the reciprocation. The title track “Sugar and Spice” doesn’t have the most sophisticated lyrics and it doesn’t need to because it just sounds so good. Its bubblegum naivete is the kind of pop reprieve needed in our current societal and political shitscape. I do like this low-key shade given to her current love interest: “Maybe you should take a lesson / From the moon on how to handle / Eyes on you, eyes on you”. “Try” might be the best match of all the tracks on “Sugar and Spice” to the E Bianco. The melody and the keys are flowery just like the wine but there’s also space for the minimal, straightforward lyrics to just be, similar to the wine that’s a conductor of chill. The chorus is as straight up delicious as the juice is going down and the repetition at the end is something I don’t mind - in fact, invite - hearing over and over. “Bad Guy” concludes the EP at its most sullen and resolved sounding. Its self-awareness does feel like the end of a chapter as she admits defeat of this failing relationship: “I am backwards and I feel stupid/ I'm watching you back away”. It’s still every bit as dreamy as the rest of “Sugar and Spice”, just with a different tone. “Sugar and Spice” is the kind of album you want to play loud in your bedroom or your car and let it whisk you away. Musically, it’s the equivalent of a Lisa Frank illustration - full of color, magic and childlike wonder. The angsty lyrics bring reality in check and add just the right bit of contrast to give it depth while keeping it a total delight to listen to. Similarly, the aromatic and quenchy E Bianco awakens the senses and indulges them at the same time. They’re both raw expressions that work together for a feel-good combination.